December | 2010 | What is the CenterFocus? From all of us at CenterFocus to all of you, have a safe and happy New Year everyone!! Surf on over to the new CenterFocus website and start planning your spring get away. Almost 5 million people visit Grand Canyon National Park each year. Sometimes finding a parking space can be more than a little tricky. While this sounds like a headache, keep in mind that most visitors will never descend into the canyon and instead will visit the Bright Angel Lodge, get back in their car and drive off to the next stop on their windshield cruise of the desert southwest. 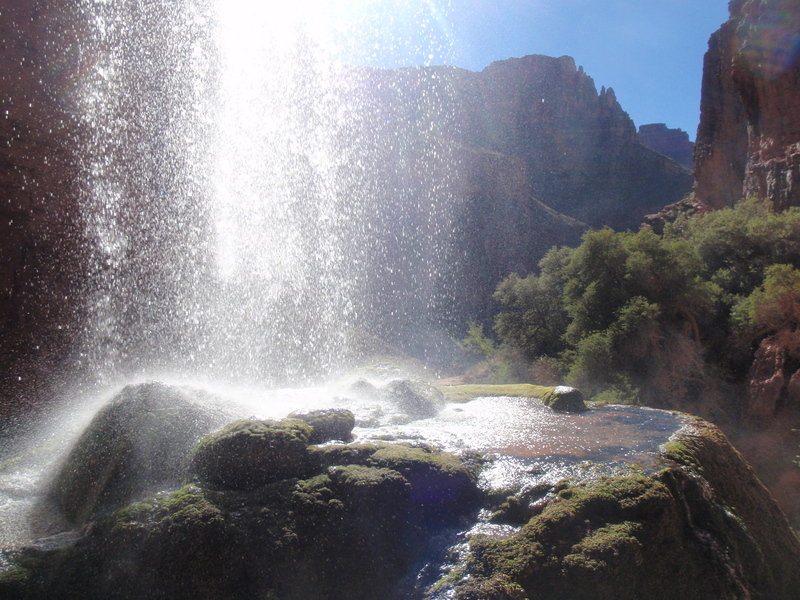 While just seeing the canyon can be awe inspiring, why not explore a bit of it? If you think that it’s too challenging, or you’ve heard horror stories of people getting lost in the vast desert expanses within the canyon, fear not! CenterFocus Experiences is a permitted guide/outfitter that will be more than happy to help you make the most of your visit to this incredible natural wonder. Sometimes just getting a permit to do the Bright Angel, South Kaibab, or Rim to Rim hike can be a daunting task, or next to impossible. Many times we have extra spaces available on our trips so we’ll be able to get you down and out exploring in no time. Each CenterFocus Grand Canyon guide is a medically trained Wilderness First Responder and has logged hundreds of miles in the canyon. They can answer any information you may have about the history, geology, flora or fauna while you’re out. If backpacking is a little too much, perhaps a day hike on the Hermit trail would be a little more up your alley? This is a great way to get away from the crowds on the corridor trails, and see some incredibly preserved dinosaur foot prints. The Santa Maria Springs are a great place to stop for lunch and snacks before heading back up the hill. Whatever you are looking for, CenterFocus can help you with, even if you just need advice. So come out and visit the most incredible natural wonder of the world! We hope to see you out there! Want to dust off the cobwebs after a cold winter? Come out with CenterFocus! Canyoneering is quickly becoming one of the most popular adventure sports in the United States. Although it has been a fun activity in Europe for decades (called Canyoning), it has just started to gain momentum over here. Canyoneering has the allure of combining many other sports into one exciting journey. 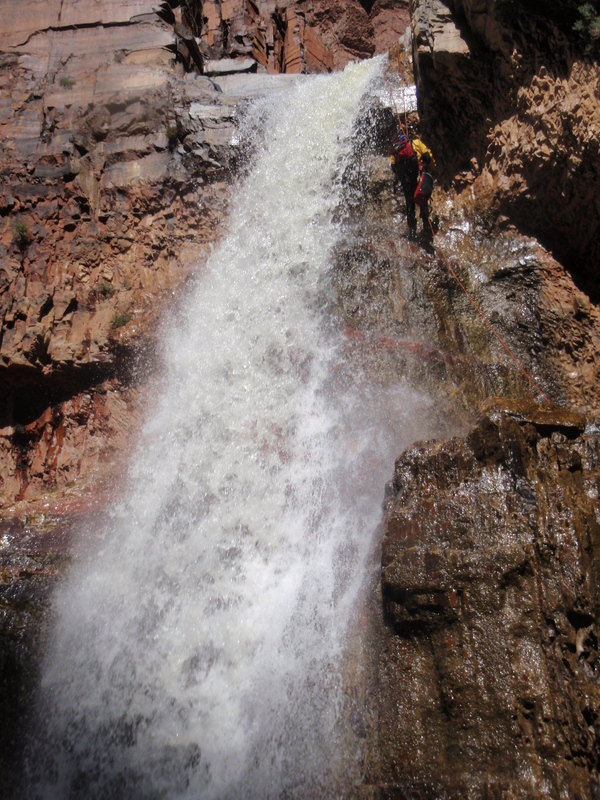 A day out canyoneering typically involves hiking, rock climbing, swimming, swift water, and rappelling. It also has the appeal of being more accessible to a larger genre of people. While rock climbing typically attracts young thrill seekers, canyoneering is geared not only to this group, but also older individuals who want to spend a day ‘off the couch’ and get outside but want something with a bit more spice than a normal day hike. Instead of a leisurely stroll through the woods or desert, canyoneering involves hiking though nature’s incredible crevices and seeing beautiful polished rock landscapes. Combine the sound of flowing water, and it’s just what the doctor ordered to refresh the soul. CenterFocus Experiences has been taking clients out canyoneering for years and has many different adventures depending on how involved you want to get. From a single day introduction to a four day adventure, CenterFocus is sure to provide just the experience you’re looking for. CenterFocus Guides are permitted by the US Forest Service and are medically qualified Wilderness First Responders. As each client is different, CenterFocus Guides not only ensure everyone’s safety, but they are also great instructors and provide any coaching you may need throughout the trip. Go to the CenterFocus Website for additional information on canyoneering or contact them to book a trip.